Set 20 years after the original, Jumanji: Welcome to the Jungle serves as a stand-alone sequel to the classic film, bringing the world of Jumanji back to modern audiences, ready to once again capture your imagination and maybe more, if you're not too careful. In the Jumanji-verse, board games are now boring and not played anymore; Jumanji is no different. As it sits collecting dust, the board game responds by mutating into something more up-to-date, taking the form of a video game. Under its new guise, it now waits to prey on unsuspecting victims yet again. 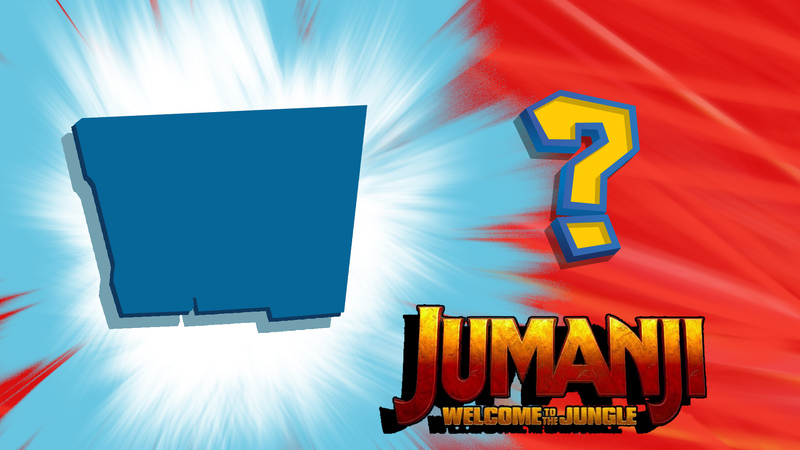 Although Jumanji: Welcome to the Jungle is technically a sequel, it also comes 22 years after the first film. Director Jake Kasdan has reassured those who've not seen it that the film works on its own as well. Speaking to Forbes, Kasdan said, "Absolutely, that was very important. For me personally, the attraction to this project was because I just thought this was a really cool, fun, good idea. I loved the original movie, and it was a really cool extension of that, but it was vital to us that it stands on its own and be its own thing." He also added that "it's a movie that is good for a family to go to together... it's something that kids will have a really good time with and also their parents." Similarly, star Dwayne Johnson also mirrored the sentiment. In an interview with Collider, he said, "That was the number one thing that I just wanted to have open dialogue with Jake (Kasdan) and (Producer) Matt Tolmach, our producers, and the studio. What is the way that we can pay homage to the original movie, not only to the original movie, but to Robin Williams in a way that felt good and that made people feel good, but yet, as you said, not get bogged down in it? So, I think we came up with some really nice ways to pay homage." In the same interview, he also drew comparisons with John Hughes's classic coming-of-age film, saying, "In essence, it would be like if you took The Breakfast Club and those characters and put them in the world of Jumanji." And there you have it, that's the preview. Don't you forget about this film, especially if you walk on by. We’ll be showing Jumanji: Welcome to the Jungle at 19:00 on the 6th and 8th of February; you can get tickets at the door from 18:45. Oh, and don’t forget to read part II at the end of the week for a more in-depth review with spoilers.